The township was originally established in 1930 as a village for non-whites to live during Apartheid. The township was controlled by whites who limited access resources, education, and job opportunities. Townships in that time served as a way for blacks to live near white residencies, so they could work in their gardens and homes. This oppressive way of life carried on for generations, resulting in a deep and debilitating impact on the communities like Cambridge. Working through One Collective, our heart is to serve the oppressed by bringing people together. We strive to reinvigorate their drive for life and dare to dream impossible dreams. Therefore, we’re excited to announce the launch of our new recycling center! The center is designed to promote employment in the community by inviting people to collect plastic, paper, cardboard, and glass. The collectors are paid per kilogram collected. This is a practical way for people to generate income for their daily needs. 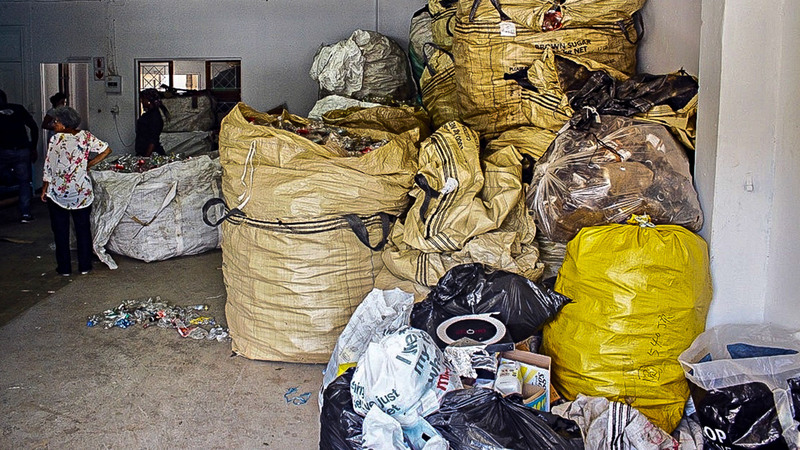 The program helps further by cleaning up the communities where the collections take place. It’s fantastic for the environment because recycling is not carried out in East London. The program is also quickly becoming a source of income for our NGO partners as they strive to serve the community. This is one example of the self-sustaining programs we are looking to develop and in a very tangible way shows how we can empower individuals, entire families, and organizations working to make a difference in their communities. For us, it is a privilege to be here and see how God is working in practical ways to reveal His love for the people of Cambridge. Together, we make a lasting impact on the lives of our dear friends.